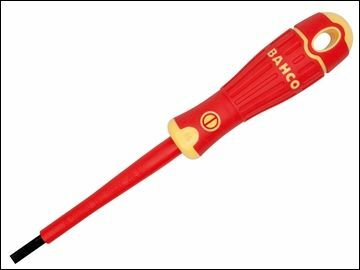 Bahco Insulated Slotted Screwdrivers are suitable for work on live equipment, up to 1,000 Volts. They have 2-component handles with vertical grooves for comfortable grip and maximum force transmission. Tip: Slotted 3 x 0.5mm.